Aharr me hearties, now as ye know, I be liking nothing better than a bit of lawbreaking before breakfast and then bragging about it on me blog….. So, ’twas with a merry heart that I devoured a few hot crumpets on me neighbour’s lawn before speeding down to the station, bein’ careful to talk on me mobile phone, park over 2 spaces, dodge the old train fare and, ah course, drop a bit of litter on me way. 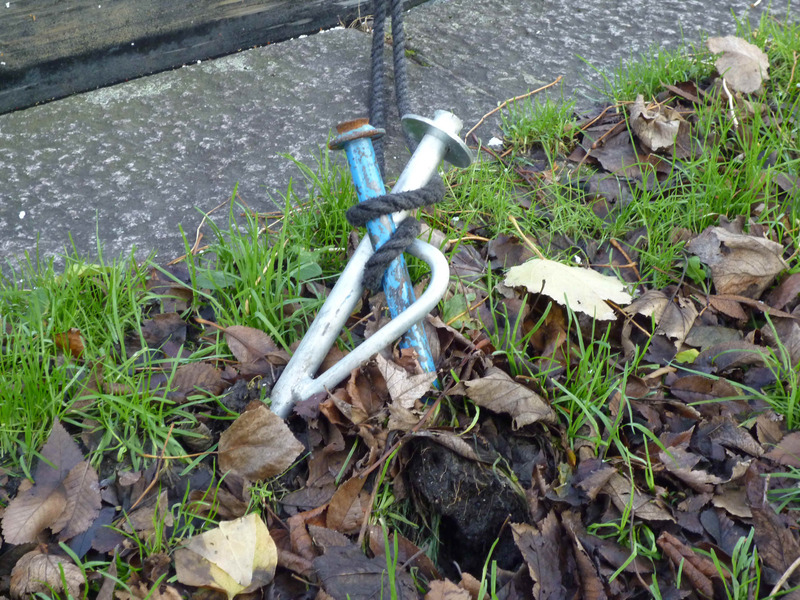 Me day was off to a flyin’ start, don’t ye know, an’ me heart soared as I hoisted the Jolly Roger up me mainmast and set off down the canal to be a nuisance to all law abidin’ boaters. “It’s 6.30am and you’re listening to the today programme”…. ….and the glorious view of Johny Depp faded out to be replaced by the far less exciting view of the bedroom curtains (though Richard still looked mighty fine, obviously!). Ah, it was all a dream – how I wish that nasty allegation of yesterday had been as well – we had 419 direct hits yesterday – many times our normal volume – this makes me very nervous; but I’ve been overwhelmed by the kindness of our friends, fellow bloggers and total strangers (or should that be friends that we haven’t met yet!). So, I’m going to carry on blogging for now at least, and I won’t publish my rather sad “to blog or not to blog – that is the question” post that I drafted at the height of the furore yesterday. We’re weren’t able to cruise over the weekend – I was singing in a wedding (solo and with the village choir that I run – I’ll just put my diva hat on and say that it went very well – it was the choir’s first formal performance and my first solo for over five years!). In the meantime Richard was down in Cardiff for the rugby. 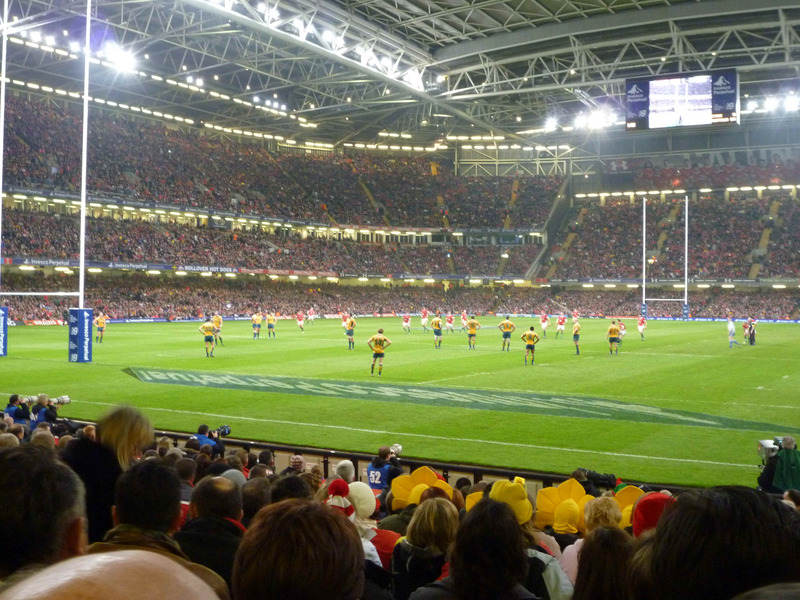 The Millennium Stadium is simply fantastic, though he says it was a little quieter then normal… I joined them for the evening and can say that Cardiff after a match was as busy and buzzing as ever, full of good humour and, as always after a rugby match, we saw no trouble. Anyway, our 14 days at Little Venice were up so today it was time to move Indigo Dream – what a day, this might be the best cruising weather that we’ve had for weeks. The early start that I mentioned wasn’t just a literary tool, though it was James Noughtie that woke me rather than John Humphries! I was up at 6.30am with the aim of getting to the boat while the sun was still shining, but the early start was wasted – we decided to drive into Croydon together so that we could sort out who was doing what with the boat but we got totally snarled in a traffic jam and in the end I didn’t get to the boat until 11.30am. I hesitate to say this under the circumstances, but I’m very familiar with this journey; nonetheless there are still new ‘old’ things to be observed. 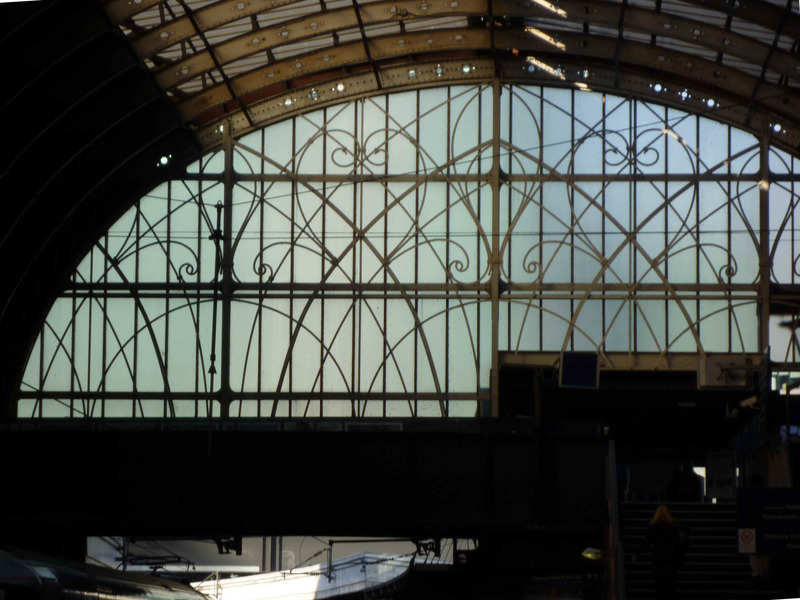 Do you know, I’ve never noticed before how evocative Paddington Station is; maybe it was the bright sunshine illuminating its glass & wrought iron roof (Isambard Kingdom Brunel), but the structure looked outstanding. In all the years I’ve traveled to and from this station from Wales I’ve just never noticed it. Note: I found the exit that leads to Shebdon Square (nearer to Little Venice than the Praed Street path) – walk down platform 8 towards the Metropolitan and City Line, go up the ramp/steps and the exit’s on your right. Interlacing pins - not sure if it makes them less likely to be pulled out, but it certainly makes us feel better! I really enjoyed the brief walk to the mooring – the still water was like glass, reflecting the startling blue sky above – there weren’t many people around and and no boats on the move – it was more tranquil than I could have imagined. Indigo Dream was fine on her mooring – from a distance it looked as if the front rope had come free but it was an optical illusion – Richard had interlaced THREE pins and woven the rope around them – there was no chance of us coming loose – just as well, it’s been pretty breezy! No problem today though – it was as perfect a morning for a cruise as any I’ve seen AND it was warm – the morning sunshine in this sheltered spot (none of the Paddington Basin wind tunnel effects here) had heated the metal shell and it was gently radiating warmth around the back deck. 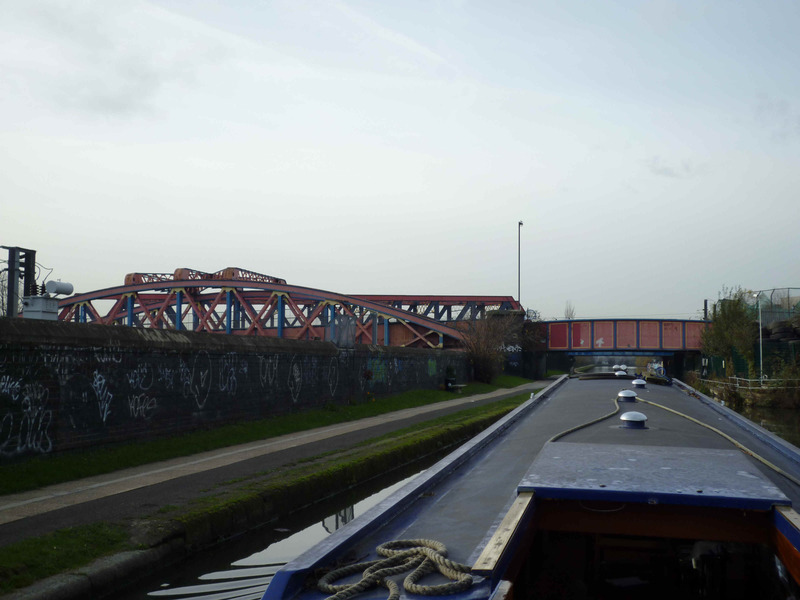 I set off in high spirits, noting in passing that there are plenty of mooring spots here, so come on down….. 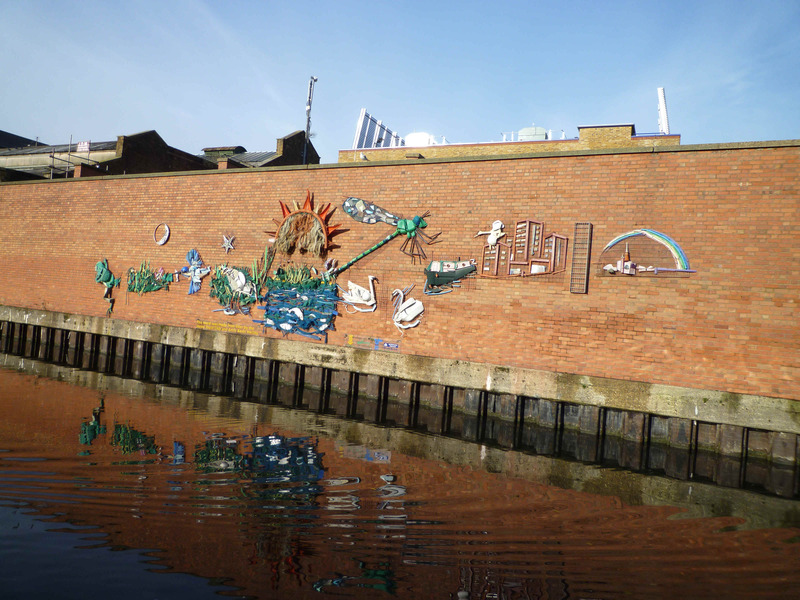 I took more notice of a large mural on the way out of Little Venice at the back of Amberley Road sub-station – there are many dotted along the canal and mainly made of rubbish reclaimed from the waters. I love them – they’re very clever and I hope that the kids who put them together enjoyed the project. I suspect that every wall in London could have a mural if they used every scrap of rubbish that came out of the water! But then again, what would the coots and moorhens use for nesting materials if we took away all the trash – they’re such resourceful birds. 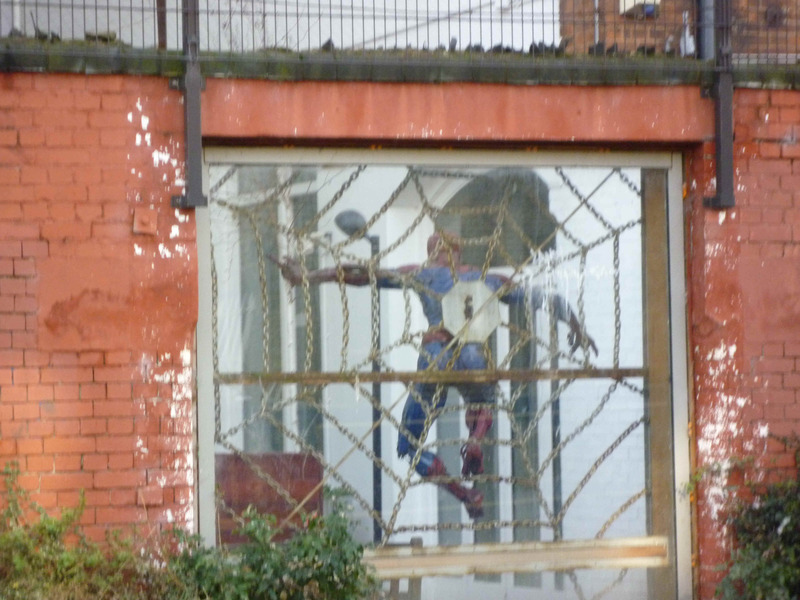 I actually had the camera with me today so I was finally able to capture some of the things I’ve been trying to describe – like the strange spiderman thing going on in the atrium of what I though was a block of flats; maybe it’s a gallery; I don’t know – do you? 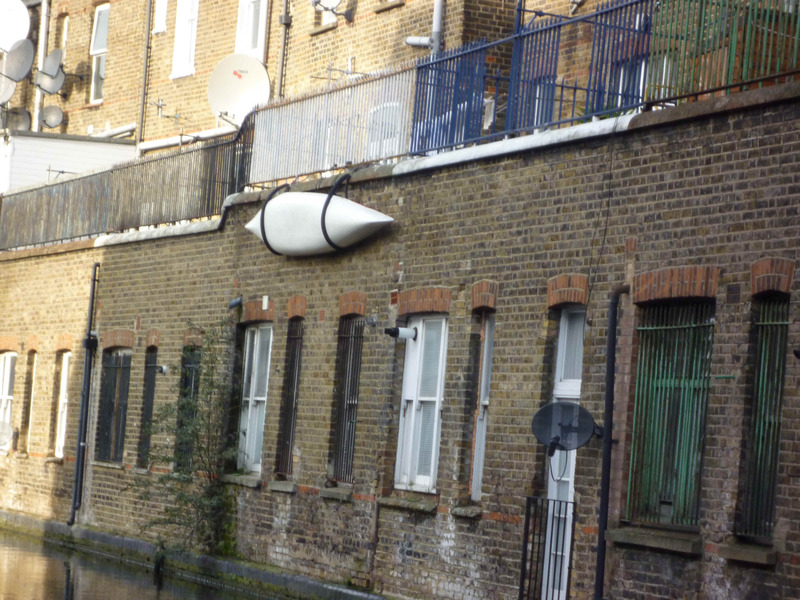 The other thing that’s been intriguing me is the hanging canoe – do they hoist it up to the first floor and then take a long walk round to the canal edge or do they just level the canoe, climb in and splashdown! Sadly I wasn’t able to get a photo of nb. Sea Mistress, which I’ve been admiring every time I’ve cruised past – they seemed to have moved on from Kensal Green. Maybe it was just the weather but the canal looked very fine today. There was hardly a soul on the water or the towpath at first and I had the Grand Union to myself. 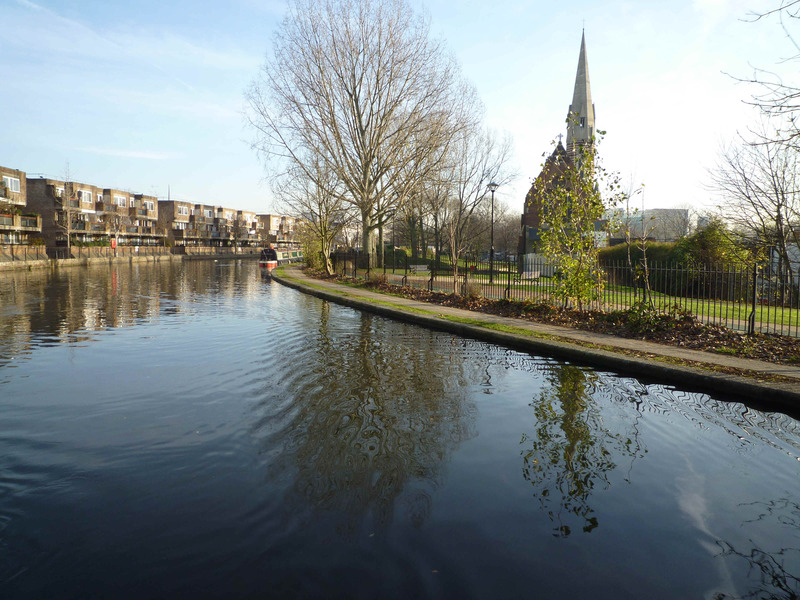 This canal still feels so vibrant, even in its winter rags, not dead, just dormant, as I’ve mentioned before. I did have a nice surprise later, as the first boat I met on the move was Ten Bob Note – wow, she looked good, her paintwork’s great. I also loved the dog on the roof, s/he looked so alert and obviously enjoying all the sights along the canal. We exchanged a hasty greeting as we passed by and it was lovely to get a comment from them later on. Another couple of boats passed by and later on I caught up with two narrowboats brested up and meandering slowly up the canal. They weren’t a problem – I just slowed down and enjoyed the ambience – it wasn’t far to my destination and it would have been way too stressful to overtake them. The Powerday wharf has been strangely quiet each time I’ve passed recently, though at least there was a working boat moored there today. I wonder how much they’re actually using the waterway for freighting waste? Unlike the increasingly busy aggregate wharf just south of Cowley Peachey, I’ve yet to see a Powerday rubbish boat on the move. 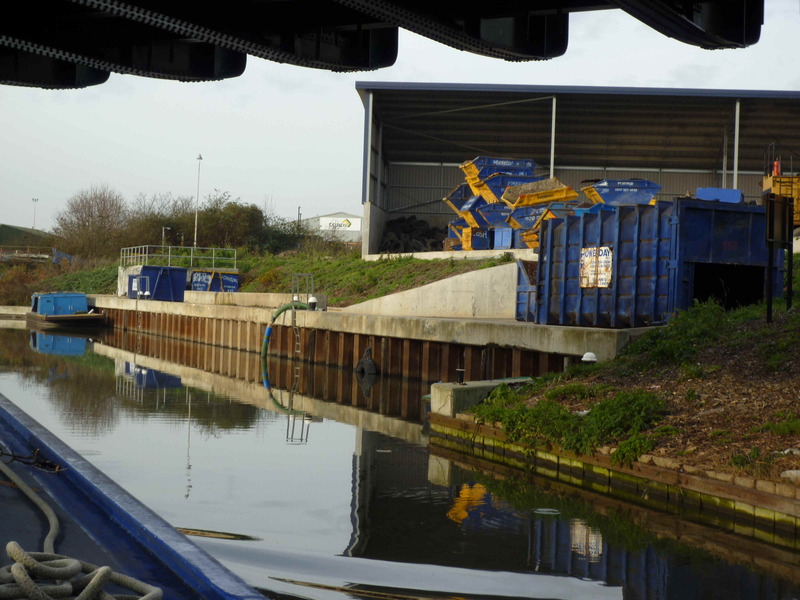 They’re certainly using the canal – there’s a big pipe leading to the water – presumably to extract water for some unknown purpose, keeping dust down maybe or perhaps for ballast purposes? I don’t know why I’ve never noticed them before, but there are stop gates at Bridge 7a – it’s obvious in hindsight, can you imagine how much water would be ‘liberated’ if this long, broad and deep lock-free pound was ever breached? 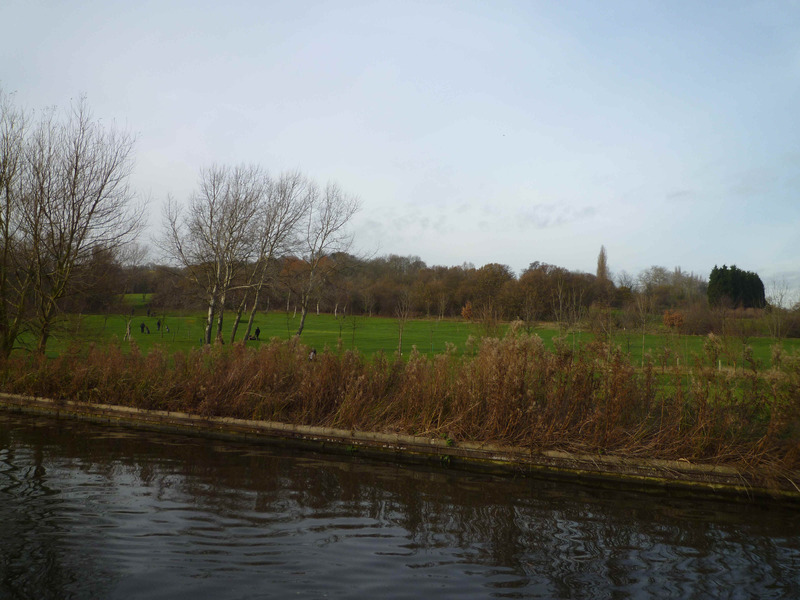 And so I meandered on – I spotted a pub (the Pleasure Boat) on the offside just after Bridge 11 in Alperton; the pub has it’s own moorings – I’d always assumed that they were part of the long-term moorings a little further on. Has anyone tried the pub? There were spaces there today and I wondered whether it was worth a visit. 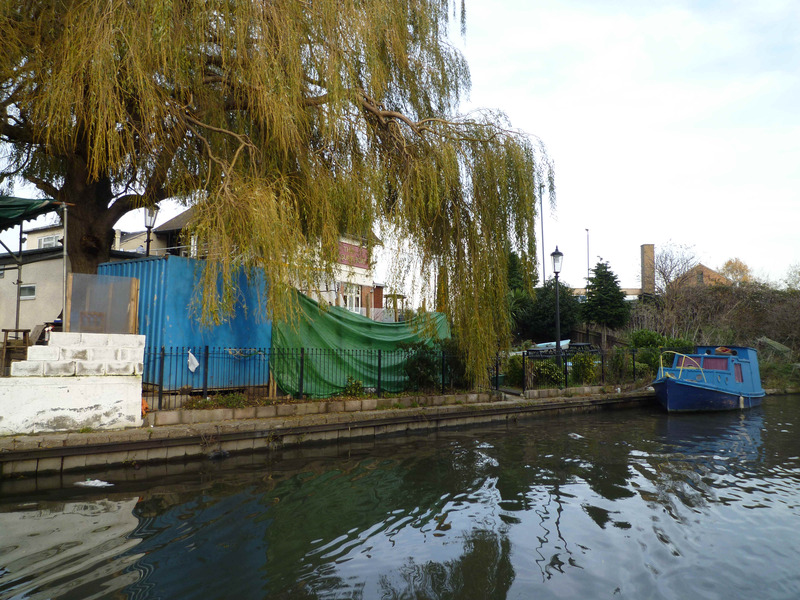 The 'Pleasure Boat' pub's moorings - I've never noticed them before. Is the pub any good? I’ve had a very good trip today – I seemed to get to Perivale in no time at all (2 hours instead of my usual 3 though I didn’t have any stops). Maybe the journey went quickly because I was enjoying myself so much, though I’m not sure how much longer I’d have been having fun – it was getting rather chilly on the helm as the sun started to sink towards its nightly oblivion (the light had a dusky quality even at 2pm) . 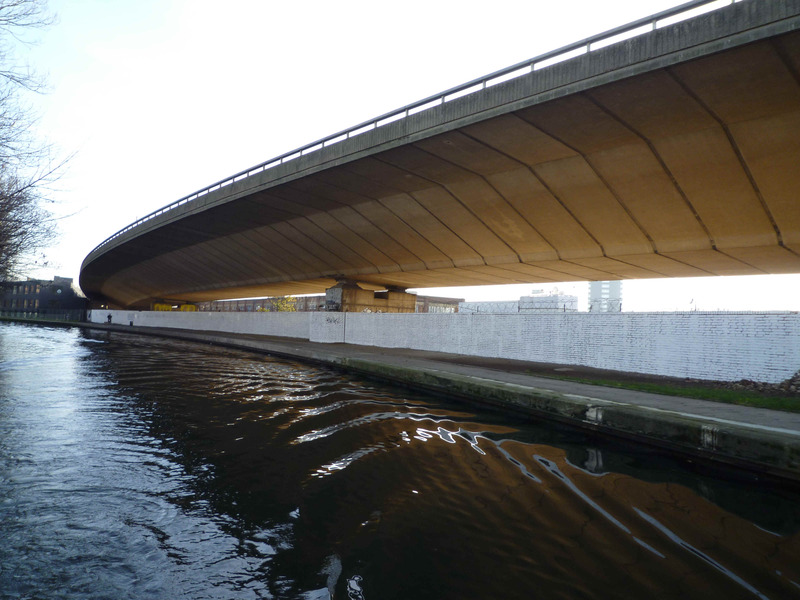 Even though I say so myself, I did a particularly neat mooring at Perivale (opposite nb Shiraz this time, where the water’s a little bit deeper. The towpath was soft so I’ve gone to my usual excess with the pins – three at the front and the same at the back, using Richard’s new ‘locking pin’ technique. So, what to do next? Richard’s going to the boat this weekend to prepare her for the Boat Safety Certificate Inspection on the 16th. We’ve asked Andrew Phasey, the interpid leader of the Royal Docks adventure to be our inspector but we’re not sure where the inspection will take place. 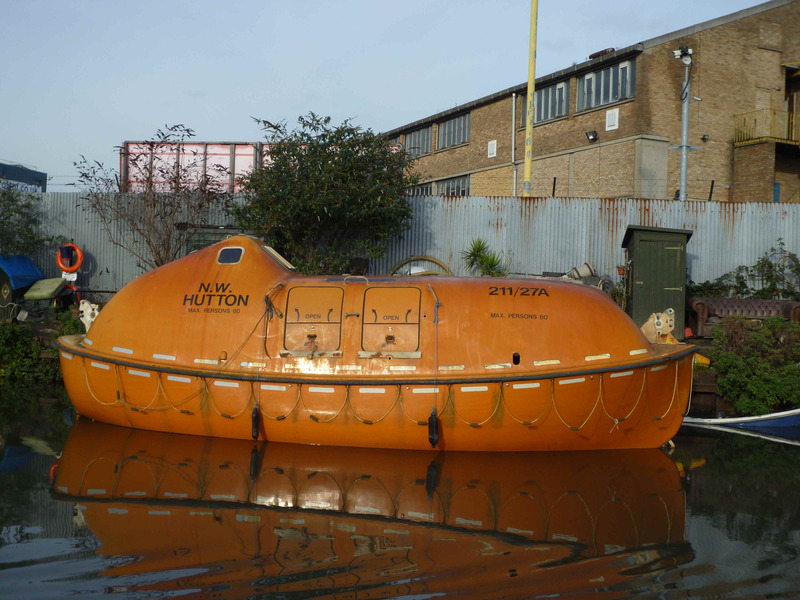 We’ve got a plan for taking the boat onto the Thames and using her as a base for Richard’s office party in Kingston on the 18th. So, do we do the white knuckle from Limehouse or the relatively sedate trip from Brentford? There’s only one snag – the red boards are up and, apart from today, there’s nothing but rain forecast hereabouts…..
Spiderman! What's that all about then?